How many times are users aware of remote application issues before you are? How much time do you spend collecting information about the problem from the end users or your monitoring systems before you can pinpoint the root cause? The number of hardware and software components that are part of an enterprise network increase based on the number of locations and IT services that are supported. Something simple like a user accessing a company hosted browser-based application relies on the availability and performance of multiple systems. Network complexity in today’s enterprises. In most medium and large enterprises, each component is managed by a different team: routers, switches, and access points by the network team, the user terminal by the desktop team, the application, servers, and operating systems by other teams. Most of the times, each one of these teams has its own monitoring or vendor-based management tool and integrating them together is not always possible or successful. So when a user reports a remote application issue, what team would the NOC operator call? 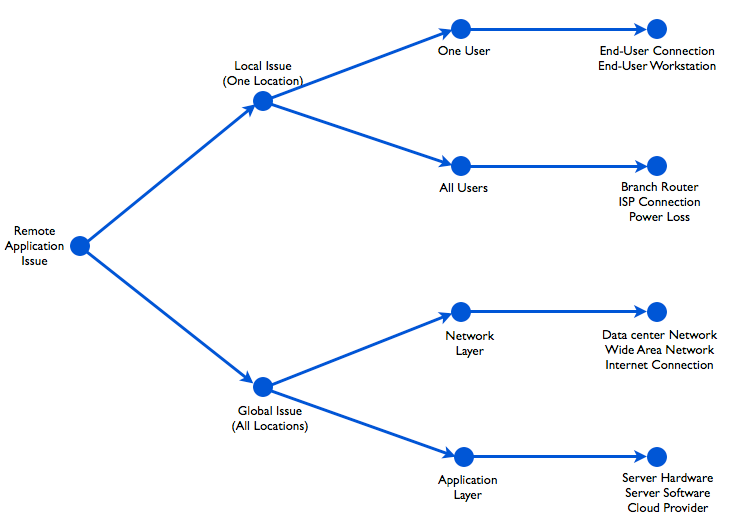 When you have an application performance issue, where do you start looking at, the network or the application layer? Answering these two questions enables your IT staff to quickly identify the scale of the problem, isolate the components within your IT infrastructure that are causing problems, and quickly escalate the ticket to the right group. Decision tree to troubleshoot remote application issues. NetBeez provides information about local versus global and network versus application in a simple and intuitive way on its browser-based dashboard. By installing one hardware agent in every network location you will know if the issue is affecting one or more locations without waiting for calls from the end users. 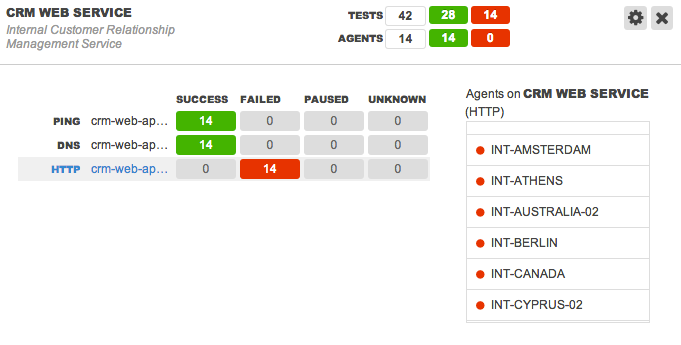 Example of a local remote application issue detected by NetBeez. Case: Local versus Global. 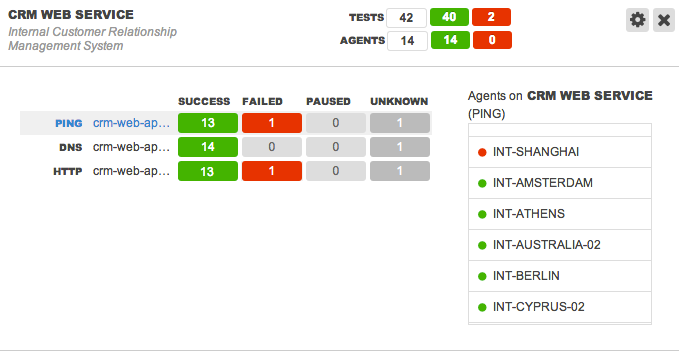 NetBeez also performs tests at the network and application layer, so you can quickly pinpoint the layer that is affecting your end users, escalating the ticket to the appropriate group. Example of a remote application issue detected by NetBeez. Case: Network versus Application. Troubleshooting remote application issues in large and complex enterprise network environments is challenging. When working on a remote application issue, you cannot start looking into multiple network management tools that provide too much detailed information at the component level. It’s important to start with a 9,000 ft. view of the problem and then drill down into the details. 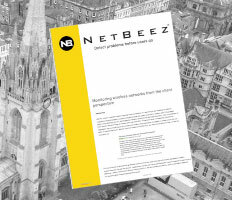 I hope that this blog post was beneficial to explain how you can approach remote application issues and how NetBeez can be used to improve speed and efficiency in such situations. I would like to hear from you how you solve this type of problems, so please feel free to comment and reply.